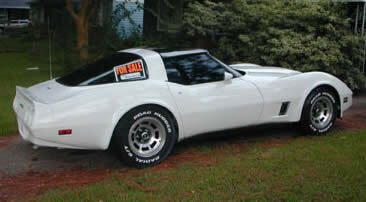 Front and rear spoilers added on the 1980 Corvette. Speedometers for 1980 read to a maximum of 85 mph. 305 cid V-8, 180 hp engines used in California Corvettes.